Authentic Cuban "Buena Vista" style Son band for hire. 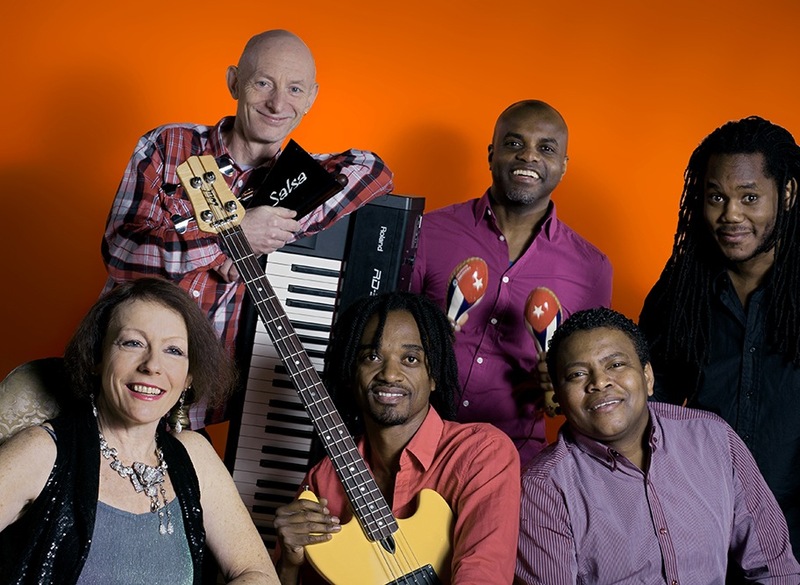 Sarabanda is an authentic Cuban "Buena Vista" style band based in London. The band plays Cuban "Son" music - the traditional music from Cuba. Sarabanda is an authentic Cuban “Buena Vista” style band based in London. The band plays Cuban “Son” music – the traditional music from Cuba. The band features 5 top musicians from Cuba and Latin America and is led by the renowned piano player Sara from the UK. The exciting cultural mix of the band enriches their compositions and arrangements, combining their own modern influences with traditional styles. Sara is well known on the UK Salsa scene. She has played, written and arranged for many of the top bands in the country and has played and studied in Cuba with musicians from the Buenavista Social Club. Yuri, their singer, is 100% all-Cuban girl, with great charisma as well as rich vocals, and a fine entertainer. The band can go from 4 up to 8 musicians. Sarabanda’s appearances have included” Smollensky’s London, The Rainbow Festival, Watford, The Lemon Tree, Aberdeen, Momo’s London and the premiere of the film “7 Days in Havana” at London’s Leicester Square.